I feel so happy and overwhelmed with joy when I saw Atiku's post on Twitter with the #EndSARS campaign. Tweet reaction of top celebrities and top politicians to the on going #EndSARS campaign going on online. 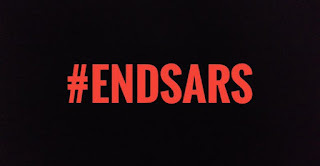 My friends here don't have any idea of what SARS is all about which I explained to them, and they all take over social media since Saturday, tweeting EndSARS with all the ordeals they've read so far. Tweet reaction from IBB, Governor Fayose, Wizkid, Phyno, 2face, Reno, FFK. And many more.